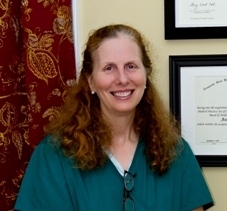 Nancy Sencil, Licensed Acupuncturist (L.Ac.) is a Georgia licensed, nationally board certified acupuncturist who has been in practice for 21 years. She practiced with her husband, an Osteopathic Physician, for 10 years in Baltimore, Maryland before moving back to the south to be closer to family. In 1997, Nancy received her Masters degree in Acupuncture from Traditional Acupuncture Institute (now called Maryland Institute of Integrative Health) located in Columbia, Maryland. Following a Chinese Medicine tradition of Masters level training, Nancy continues to study under senior practitioners Jeffrey Yuen and Kiiko Matsumoto. Beginning in 2002, Nancy began an ongoing Masters level study with Kiiko Matsumoto, a Japanese acupuncturist, who combines an in depth understanding of Western Medicine and Acupuncture derived from research of Chinese Classical texts. Kiiko's unique style of acupuncture is based on her research, clinical practice and continual training with her Masters in Japan. A note about Japanese Acupuncture: Historically Japanese acupuncture, beginning in the Edo period (1602-1868) was practiced mostly by the blind. Blind acupuncturists palpated specific areas of the body to diagnose underlying causes leading to disease. Today, Japanese acupuncturists continue to use palpation as a primary diagnostic tool. Well known Japanese acupuncturists and teachers are Master Nagano, Master Kawaii and Master Manaka as well as Kiiko Matsumoto. Kiiko is known for her clinical success with difficult cases.